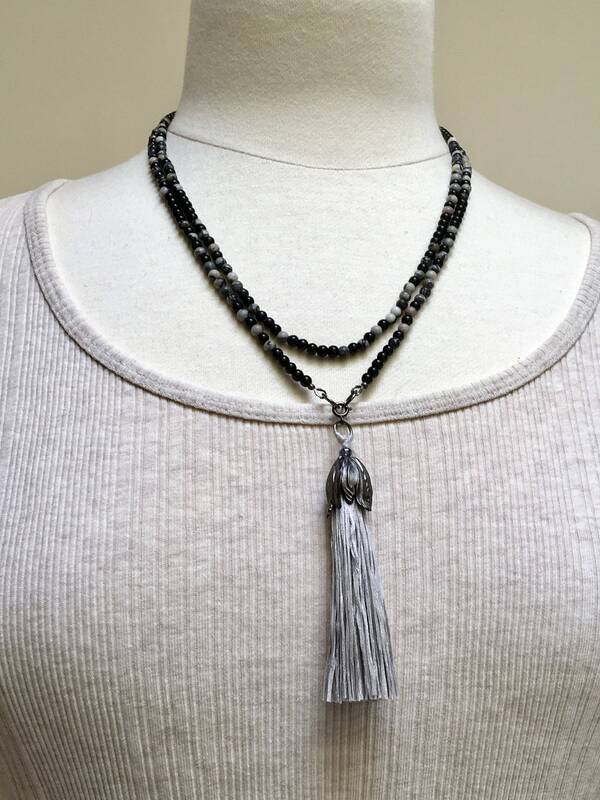 Channel your lovely inner hippie with style and wrap your wrist or wear it shorter or longer as a necklace. 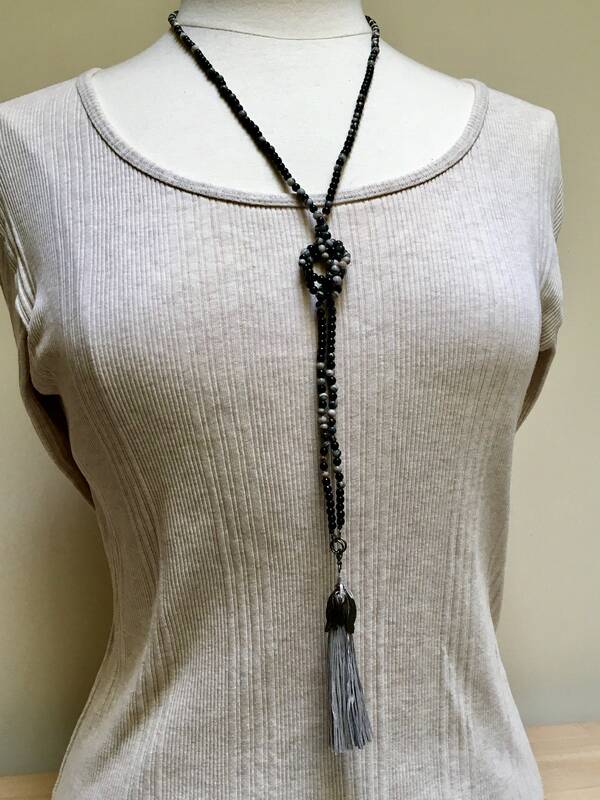 Enjoy a playful trend as you layer cuffs or necklaces. 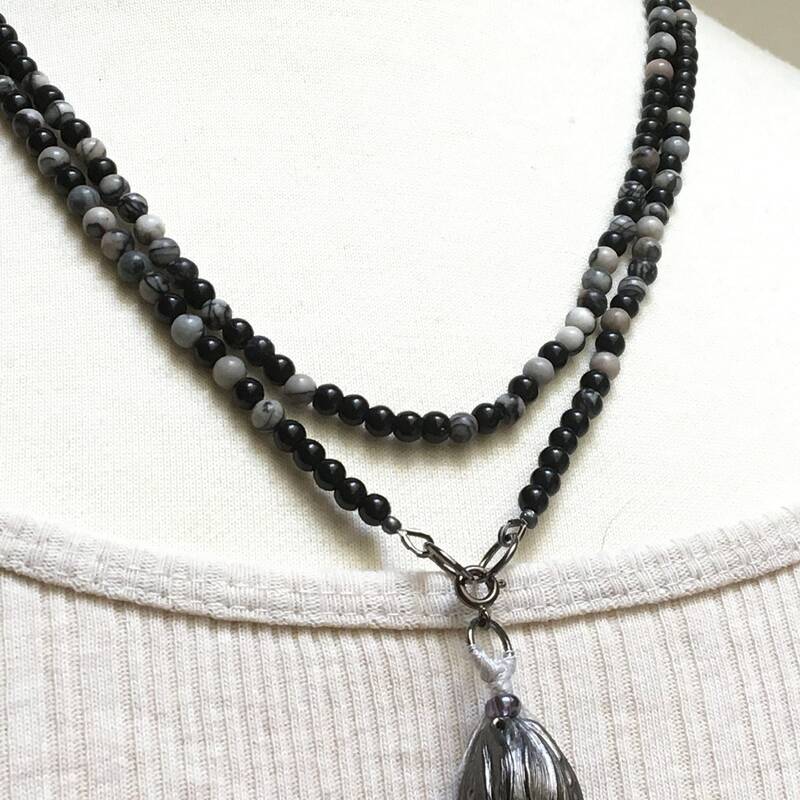 A 42 inch collection of natural black & gray “Silk Stone”* beads and black glass beads. 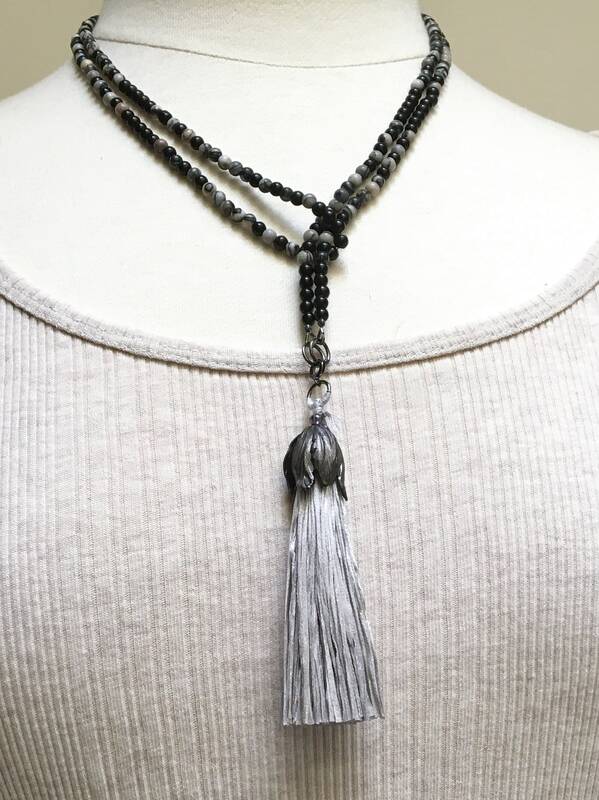 The handmade silk tassel is capped with a detailed floral brass cap plated in dark oxidized silver. 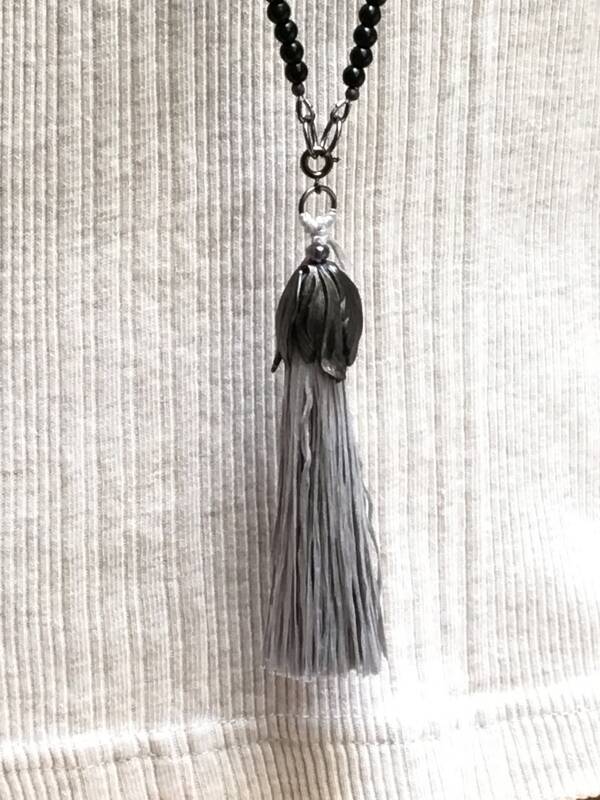 Nice contrast with the glossy silvery gray fiber tassel. Totals about 4” long including the connector. 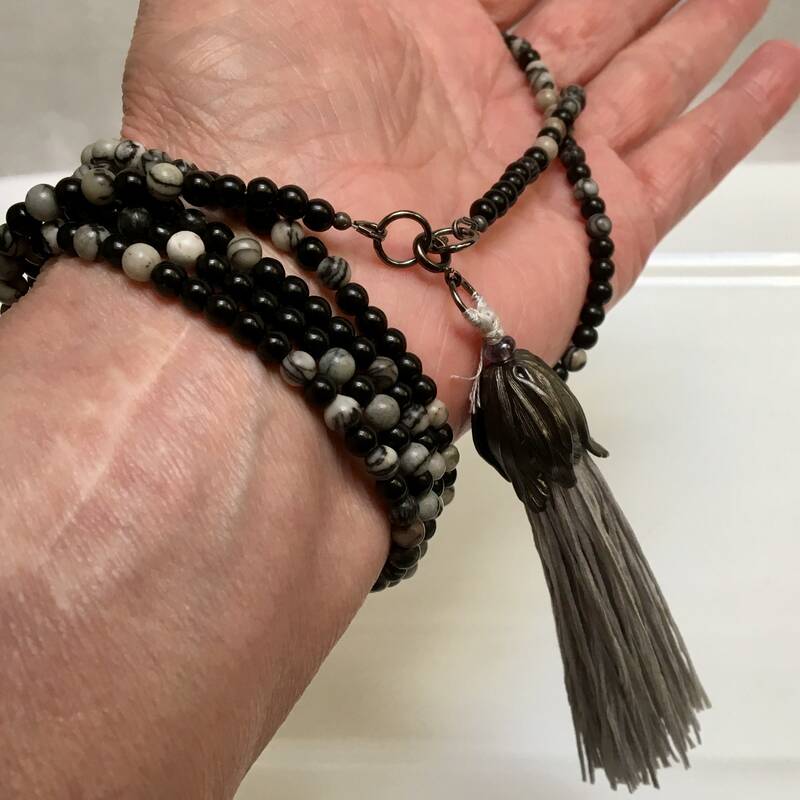 I’m showing different ways to use as a layered necklace, delightful worn long, or wrapped as a beaded bracelet with or without the tassel. 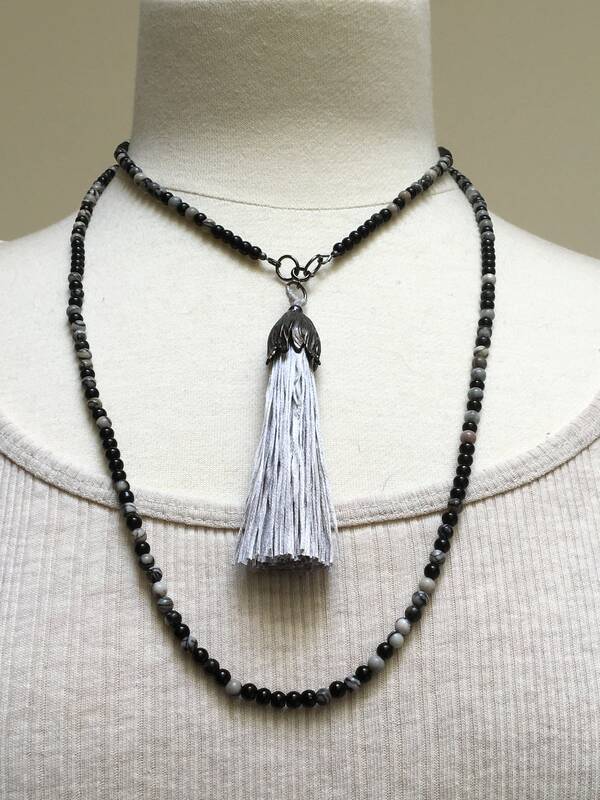 Channel your inner Hippie or flash a bit of your Bohemian flair with a long tassel necklace from WillOaksStudio. This is a limited edition (2) WillOaks Studio original design. 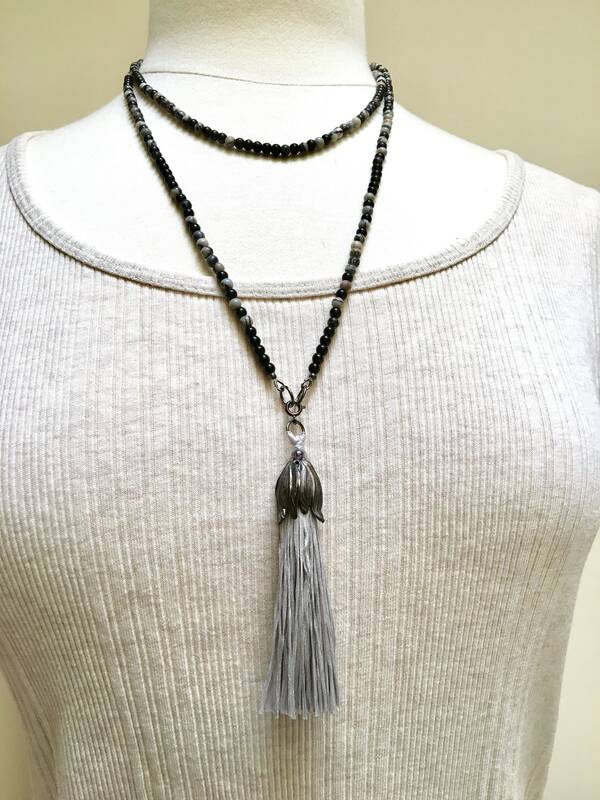 It is made to order and is mailed in a velvet pouch for storing and for gifting. 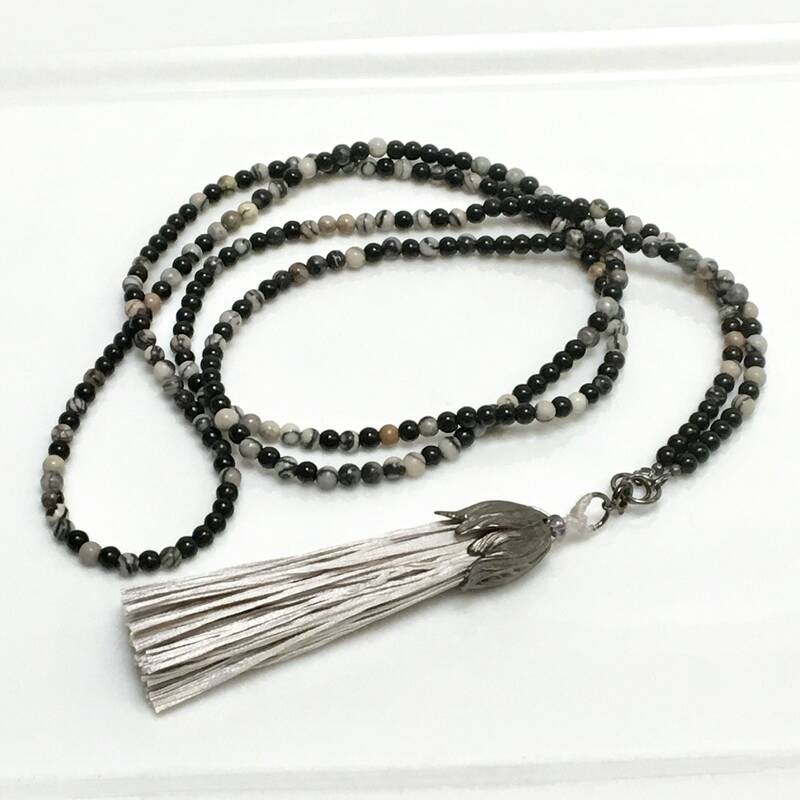 *“Silk Stone” is a trade name for an onyx marble with rich natural black banding on a gray to white background. It is a natural stone.